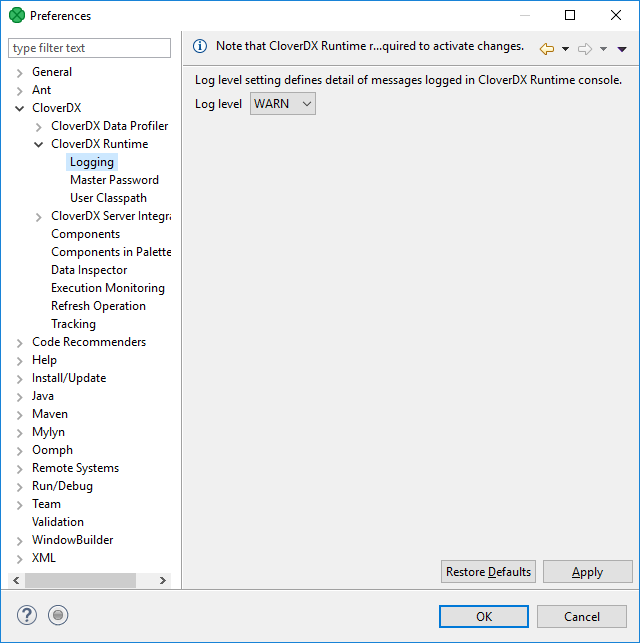 CloverDX Runtime writes its logs into Console tab. Here you can set up messages of which severity are written down. If you set up a particular level, you can see messages of the specified level and more severe ones. For example, if you set up level to INFO, messages of INFO and WARN levels are logged. Do not forget to restart the CloverDX Engine to take effect of the change.